Classic Industries offers a wide selection of Engine Gaskets for your Chevrolet Bel Air.  Classic Industries offers Chevrolet Bel Air Head Gaskets, Chevrolet Bel Air Intake Manifold Gaskets, Chevrolet Bel Air Oil Pan Gaskets, Chevrolet Bel Air Rebuild Sets, Chevrolet Bel Air Timing Cover, Chevrolet Bel Air Valve Cover Gaskets, and Chevrolet Bel Air Water Pump Gaskets. 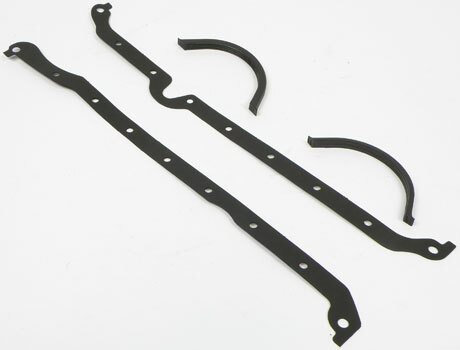 This oil pan gasket set is designed for 409ci V8 engines. Oil pan gaskets should be replaced every time the oil pan is serviced. If you're ordering a Milodon pan for your stroker small block, you'll need a Milodon stroker gasket to go with it. 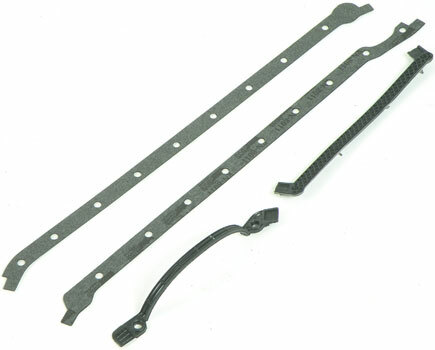 This gasket features a steel reinforced reusable molded design. If you're ordering a Milodon pan, you'll need a Milodon gasket to go with it. 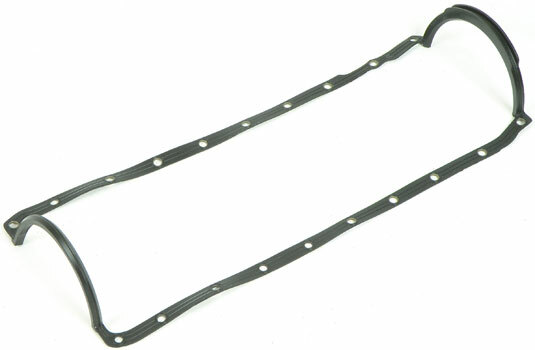 This gasket features a steel reinforced reusable molded design. If you're ordering a Milodon pan, you'll need a Milodon gasket and seal to go with it. 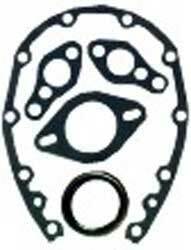 This gasket/seal set features a crushproof design made of virtually indestructible materials. If you're ordering a Milodon pan, you'll need a Milodon gasket to go with it. 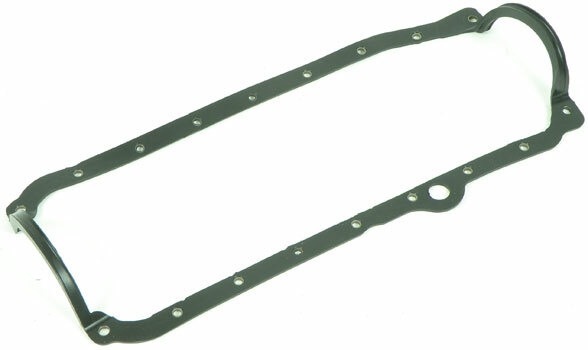 This gasket features a steel reinforced reusable molded design. Made in USA Note: Dipstick on LH (driver) side.